This book is exactly the kind of thing you would hope to find when you are aimlessly looking through the shelves in that slowly dying place called a bookshop. 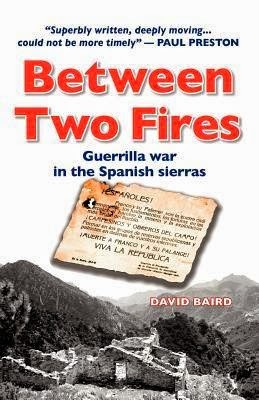 Focusing mainly on the area around his adopted home town of Frigiliana, David Baird has used immaculate research to write in compelling detail about the "people of the sierra" - those who took to the mountains, some to escape, some because they had little choice and some because they had strong political opinions that could then only be expressed in a way that led them to be tagged by Franco's cronies as "bandits." Here, we find a Spain that is almost impossible to recognise in the modern version of this country. As Baird points out, at the start of the 20th century the average person there lived not much longer than 30 years. It was an almost feudal land where even subsistence farming was only for the lucky ones. There was no public hospitals or public transport and mules and donkeys were the only way of getting any distance without walking in bare feet or simple shoes. It was a time of smugglers, travelling repairmen, mass illiteracy and child labour (often starting at 6 years of age.) Progress took the form of a single 30 watt bulb being installed in a house. After Franco's victory this part of the country also became the land of night-time curfews where anyone found in the streets after dark was automatically arrested. It is unsurprising then that there was a significant level of support for the men who fought against authority. While some townspeople were kidnapped for ransom by the rebels it was the civil guard who were more hated but both sides were feared, and for good reason. To help the guerrillas, such as providing them food or clothes, was enough to be thrown in prison but to not help them at times meant to the outlaws that you were collaborating with their enemy and could then be a target for recriminations. It is in this sense that ordinary people were caught "between two fires." Apart from the clarity of Baird's writing and his even-handed approach (which is a relatively rare thing in the highly-politicised arena of Spanish history) half of the book is given over to those who were intimately involved in the events of the time to simply tell their own versions. Their first-hand accounts are vivid, illuminating and often poignant. In short, this book plays a crucial part in making sure that this war is not a forgotten one, at least to English language readers. This review was first published in Catalonia Today magazine, June 2014.